@SoloSideCousin wrote: Oh man, I wish that I could do spoiler tags right now, but I can never get it to work right on my phone. But let's just say that this episode left a lot of awesome possibilities. I have fallen off this whole board quite a bit, but when I saw this Resistance thread I had to check it out. But I will say this, in the last Poe series comic which takes place *after* TLJ, (I didn't read the whole thing at all, but saw some pertinent pages), Poe taunts some officers on a FO ship that believe that the FO had a great victory at D'Qar. Poe informs them otherwise, including telling them that Snoke is dead. I can't remember the timeline, but I think this meeting may have occurred weeks after the whole Crait incident. The FO officers start wondering who the next Supreme Leader will be. They start wondering if it might be Hux, and Poe doesn't seem to know who the SL is either. So that means that Kylo/Ben has not gotten on Galaxy TV and announced himself as basically emperor of the Galaxy, even though people on the Colossus seemed able to get live feeds well enough. But let's say that they are extremely remote and they never get news in a timely manner. That still means that there are going to be FO activities out somewhere in the same timeline as TFA and TLJ and post-TLJ running parallel and not knowing anything about what is happening with Big FO and Big Resistance leadership that we see in the movie ... but maybe there is something interesting in those parallel activities that Season 2 might let us see. I am hoping so!! Because it most likely will premiere in October, which is before IX, it won't reveal too much, yet I think it will be a great appetizer and flesh out more of the extra resources - books, comics. 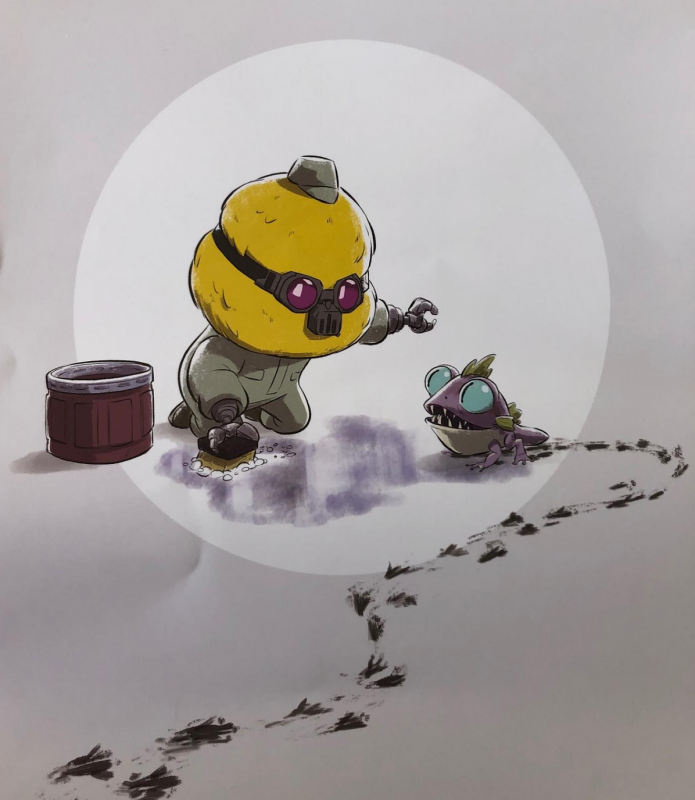 Maybe it's to obvious of a guess, but I wonder if they end up at Batuu. lol Or close to it, and Yeager suggests it. I do think it will be spoilerish for the Resistance side with IX, but that is information Disney/LF doesn't mind is out there. PS Thank you/honored you joined this thread, especially due to your mention for not participating with the forum that much (hope all is well, and it's only due to the lack of official SW news and information with IX now). I'll be honest that frankly, I'm surprised that there hasn't been a lot more discussion in the various online communities about Poe's portrayal in the comics and Resistance. I thought that segment in the comics was a pretty big deal--the surviving FO ships had received word that the Resistance was destroyed at D'Qar (until Poe had alerted them to the contrary) AND those ships also had no idea that Snoke was dead. In any case, I think it's interesting that in the comics, Poe alerts the FO to the survival of the Resistance... similarly to his antics being one of the catalysts to Hux blowing up Hosnian Prime in Resistance. It could be due to lack of awareness, yet you are trying to inform and alert people about this. I wish more would consider it! I believe you, and the prospect of Dark Dameron! I think some dismiss it, when they know about it, because they feel it is too nuanced or grey for SW, but I think if done right (and I trust the creatives of ST), I think they can do it. The original intent was to kill Poe in TFA, and yes J.J. changed his mind, but it's for a reason beyond Oscar's wish for the character. He has no influence - after all, we are seeing how little influence MH has! lol I think J.J. changed his mind because Poe will have a form of a redemption arc; however, because he is on the good side, I do think he will live, but I won't be surprised if he is quite antagonistic against Ben (and a large reason why is a jealousy/a metaphorical form of sibling rivalry) and a reverse with their journeys. yet another Star Wars orphan and Poe Dameron is the guy who smooth-talks you into thinking you're best friends and then skips out. Sadly, it was a series of misperceptions and hurt feelings that have now dragged Tam away from being with her family, her heart. Instead of focusing on what matters most, like fighting for her team, she selfishly chooses to go with what matters most to her in that moment, self-gratification. Thank you so much. The lack of spoilers has certainly caused a lull, but I have been dealing with some pretty rough real life stuff for over a year now. I don't want to jinx anything, but let's just say I am hoping to be able to hang out here more moving forward. Thank you again. That was a lovely welcome back. P.S. How do you do spoiler tags again? It really has been too long! Goodwill loves and hugs, and cheers to moving forward!!! Cannot wait to read your insight about it! Love how you enter meta level! I am about 95% sure we're going to get a "redemption" arc for Tam at some point. How will her redemption arc parallel or point to Ben Solo's redemption? The interesting thing about Ben is that we didn't get to see him fall. We are really only speculating about the things that caused him to turn to the dark side, assuming of course that what Leia hinted in TFA was right and that what Luke said is true--that Snoke had already gotten his claws into him long before Luke lit his saber over Ben in the dark. But with Tam, we are actually seeing with our own eyes the misunderstandings ("you put all of us in danger! "), deceptions ("you lied to me all along! "), and resentments (Kaz sweeping in and having/taking things without effort that Tam has always wanted and worked for) that cause Tam to have doubts about Kaz and Yeager. With the exception of a few fans out there (we recognize the shrill tone of their self-righteous condemnation from their rantings about Ben), most people understand Tam's reasoning and especially her feelings of betrayal, even if they don't agree with her choice. By and large, the audience sympathizes with Tam, even though she made a free choice to go with the bad guys, and wants her to come back around to the people who really care about her. Tam's story is not that different from how we gather Ben must have felt. From the scraps we've gotten, it seems Ben felt betrayed by his family, perhaps for not telling him that Vader was his grandfather (or lying all along about it). Perhaps we was angry with his "weak and foolish" dad who didn't protect him from the danger of predator Snoke, or who didn't stand up for Ben to stay with him when he was sent away. Maybe he resented having so many expectations placed on him as the relative of the three biggest war heroes in the galactic conflict, when all he really wanted to do was stay at home and practice his calligraphy. We don't know how long Snoke (like Tierny) had been whispering in Ben's ear, preying on Ben's mind. And of course the final straw was having his uncle attempt to kill him (so he thought) while he slept. Nobody's putting up with that. So how will part 1 of Season 2 of Resistance prepare us for Ben's redemption in Ep. IX? Will we see Tam come around and begin to try to find a way back? Will we see in more detail Tam's struggle to accept the truth that she once denied but is beginning to accept? Or will we get no foreshadowing of Ben's path yet and only see the parallel of Ben's present circumstances--the pain and difficult circumstances that Tam's choice has brought her, while she sticks to the side she's chosen? My primary thought <3 - I don't think the spoiler tag is needed anymore. You are wonderful and considerate, but based on what I know of the release, that is my vote, yet I could be wrong. Your insights are incredible. A part of me wonders if I will have a better gut feeling after I see the IX teaser trailer, yet probably not. lol I do feel Tam is for the audience members (parents, and SW fans who are perhaps even antis and fanboys) who are resistant (haha) to Ben's redemption, and her journey can provide another pov. Moreover, her journey adds greater insight for us, who are Bendemptionists to consider what you mentioned, which adds to the heartbreak and tragedy of what happened to Ben. Tam is an adult - a young adult, yet still an adult, and she was easily manipulated by the situation. Ben was a baby/toddler! I do think this greatly hints that we will see more about Ben's journey, and I do think the rumors a young actor was casted to play young Ben is true. Oh good, because I don't like dealing with spoiler tags anyway. I feel like with Resistance/Tam, we are just following the yellow brick road to Ben's redemption, so to speak, and picking up fans of the cartoon along the way! Oh my gosh, if we get tiny Ben in Ep. IX, I will melt into a puddle of mush. And showing tiny Ben would make Bendemption assured! hiya SW_Heroine_Journey! well it looks like itunes in Australia is holding back on releasing the two part finale booooooooo. I've watched the first 18 episodes and am awaiting the release of the season finale.. [no idea when it will be released either! I can't find a date anywhere!] So I don't know how it all ends yet and am going to hold off reading the comments here till I've seen it. I'll just share a few general, random thoughts for now. I even found myself liking Hype Faizon! Tora cracks me up.. and then the smaller characters like bubbles and bitey had me giggling throughout. I'm really enjoying seeing more of the FO. I know I won't be able to get into this fully as I've not seen it all (I haven't seen the most important bits!! gah!!! I'm so frustrated!) - but I've just met Tierney. Can't wait to see how all this wraps up, and I'll get back here to talk in more detail once I've seen it. How could Tam hear of the FO destroying the children's planet and then think - well there must have been a good reason?! I mean what good reason could there be?!! I think Yeagar's line to Tam about how the Empire took advantage of the vulnerable is foreshadowing what's going to happen with Tam and the FO. She's vulnerable, and she's probably going to be exploited by the FO. So far she seems to be eating up what Tierney has to say.. Kaz is rich?! well that is the worst crime ever!! Yes, he lied. He was with the resistance! but he is still Kaz. He helped those children, he helped Synara.. Surely that counts for something??!! It should all fit I mean he rambled on about how he didn't like the FO.. Okay I can see where Tam's resentments would have come from, and the lying is hard for her to brush over, but she is pretty quick to defend the FO over her friends. too quick. (didn't Neeku say that to her?) Interesting times ahead! Finn left the FO, if Tam sides with them, maybe we'll see her leave too! I love all the animation of space - it's a beautiful galaxy out there! I'll be back hopefully soon! @DeeBee wrote: How could Tam hear of the FO destroying the children's planet and then think - well there must have been a good reason?! I mean what good reason could there be?!! This is the one that bugs me. I don't mind that Tam's initial reaction was "They must have had a good reason," but I do mind that it was her only reaction. She never asked any questions about it, never showed any sympathy for how they are now refugee orphans living hand-to-mouth underground with no sunlight. Ouch. @DeeBee wrote: I think Yeagar's line to Tam about how the Empire took advantage of the vulnerable is foreshadowing what's going to happen with Tam and the FO. She's vulnerable, and she's probably going to be exploited by the FO. So far she seems to be eating up what Tierney has to say.. Kaz is rich?! well that is the worst crime ever!! Yes, he lied. He was with the resistance! but he is still Kaz. He helped those children, he helped Synara.. Surely that counts for something??!! It should all fit I mean he rambled on about how he didn't like the FO.. Okay I can see where Tam's resentments would have come from, and the lying is hard for her to brush over, but she is pretty quick to defend the FO over her friends. too quick. (didn't Neeku say that to her?) Interesting times ahead! Finn left the FO, if Tam sides with them, maybe we'll see her leave too! I love all the animation of space - it's a beautiful galaxy out there! The whole rich thing wasn't even relevant really, since Kaz only ever had what Yeager paid him for being a terrible mechanic (plus that gold trophy thing that apparently he had stashed in his New Republic flight suit), and he'd decided not to keep up contact with his dad. But I can understand that if you've never had anything much, and many of your problems would be solved by having some extra cash, knowing that a friend could have helped you out and chose not to would really make you mad. Looking forward to hearing your thoughts, @DeeBee. I hope you get the finale soon! Oops! Spoiler tag apparently is still needed! I incorrectly presumed all episodes were now available everywhere. Sorry! Hiya -oh it’s ok I don’t read any posts not tagged to me till I’ve seen it all... by coming in here lol i know I take a risk.. The panel attendees got not a trailer but a sneak peak into Season 2 (first episode or two episodes)! I have a friend who attended but she won't spill the beans. I'll try to worm something out of her. She did point out that the main poster has Elijah Wood's character on the FO side with Tam. The first one or two episodes? !! Squee yet...pout! I respect your friend is treasuring the entire aspect, so I understand if she doesn't spill the beans, yet if she changes her mind, please share! If she cracks, I'll post the scoop here under a spoiler tag. Do you know when it's returning? I am guessing October. They are being open that Season 2 begins immediately after the conclusion of Season 1. Interesting how Season 1 began 6 months prior to TFA, and Season 2 will begin ...I am thinking around when TLJ begins (they will parallel each other)? She said there was no news on when it starts up, but she's guessing it will be on the new Disney+ streaming service. Were you able to see the panel at all? I think there is a video on YouTube, but of course it cut off when the new material began. It is? I checked SW YT channel, and it was not a separate uploaded video (i.e., the same way the IX Panel was), but I will look to see if it separately posted by someone else. (I am guessing it is somewhere in the Monday livestream, yet that is many hours long, and I admit not wanting to watch the entire thing. Monday was a work day...on my days off, I admit having the livestream on, in the background). The title is a bit deceptive, but it's the panel. I have read the resume for the first episode of the Resistance season 2 from someone who was in celebration, coudn't resist, it seens is gonna be a funny one, think I'm gonna like even more this season, now that we have some drama between kaz and Tam.